As we look ahead to the coming year, we’re excited to announce that IRIS is expanding its work examining the scientific and professional outcomes of the KL2 Mentored Career Program, a training program of the Clinical and Translational Science Award (CTSA). The KL2 Award was developed to support clinical investigators who recently completed professional training and are embarking on basic, translational and/or clinical research. Funded by the NIH, KL2 scholars come from a diverse array of fields and can receive up to five years of career development support in the form of training, mentoring, and protected time to carry out their research. Last year we conducted a pilot study with 5 IRIS members that have a CTSA award, examining ongoing careers in research, transition from mentored career award to independent research status, research team characteristics, and patent/publication details for 115 KL2 scholars, contrasting these outcomes with 717 scholars paid on other K awards. Participating institutions in this phase included Northwestern University, the Ohio State University, Pennsylvania State University, University of Iowa, and University of Michigan. For the coming phase, we aim to double the number of CTSA hubs participating in the pilot and are working on refining the comparison group, as well as a detailed examination of grant trajectory and additional team science measures. 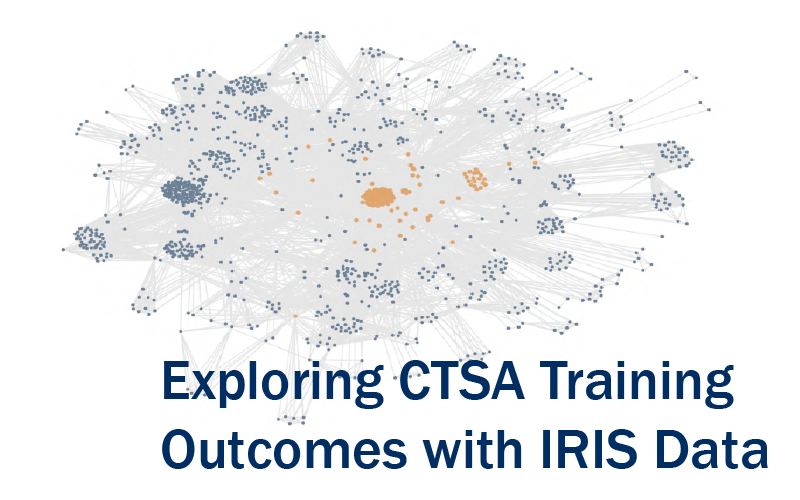 Also new in this phase is an exploration of collaboration networks for individuals at a single institution who receive support from the CTSA institute. If your institution has a CTSA award and you would like to participate in this very low-burden pilot project, please contact Nancy Calvin-Naylor at nbirk@umich.edu or 734-615-7464.